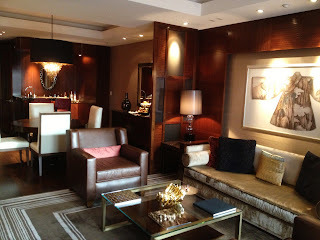 I know I have written about Mandarin Oriental Hotels at Las Vegas before but I had to write about the Apex Suite. 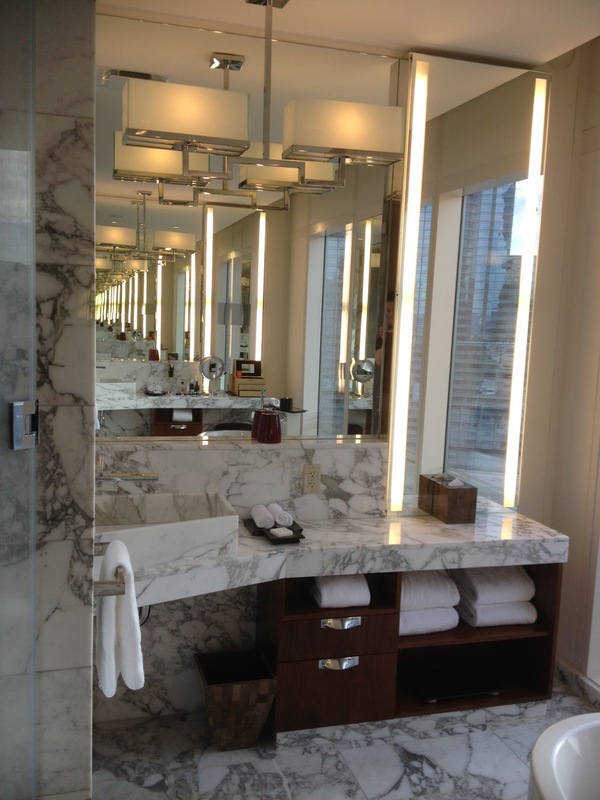 It really is one of the nicest suite in the hotel. The room offers 270 degrees of views. 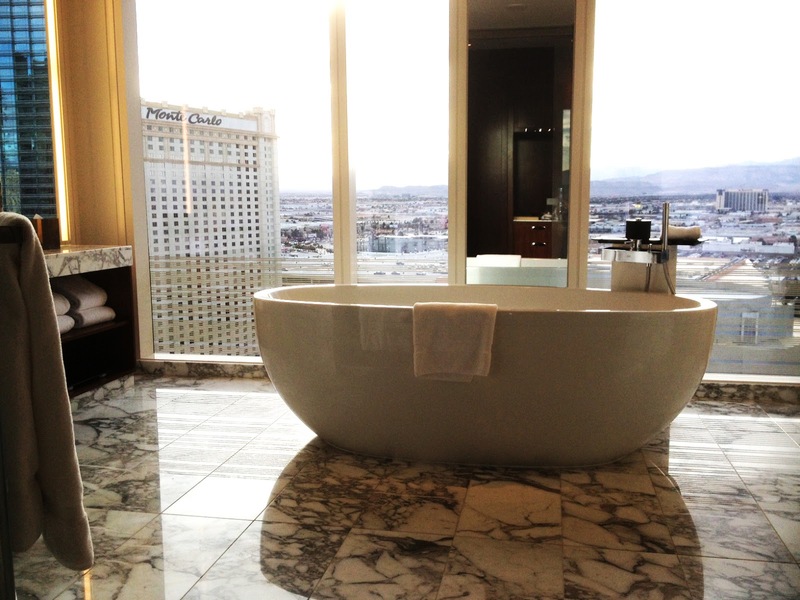 More selection of views than any other suite type in the Mandarin Oriental Hotel at Las Vegas. 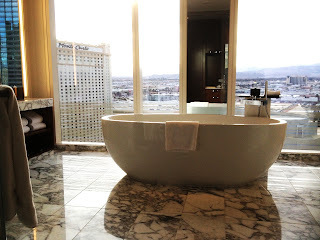 It's not the most expensive suite in the hotel (there are three categories that are even more pricy) but interestingly, it's the only suite with the mountain, the city center, and the strip view. The 1700 square feet room is spacious in any standard. You get an entry area which lead to a dining room with a bar with living room adjacent to it. Walking pass dining room, you have a small enclosed kitchen on one side and a quarter bath on the other side. Once you pass those two areas, you have a nice generous size working space with a large desk where you can write to all your friends and telling them wish you were here (if you still write a postcard)! The working space has two double doors that lead to the master bedroom. Needless to say the master bedroom is large with amazing views and an attached full bath that is to die for.... free standing tub with mountain view, steam and rain shower, etc. 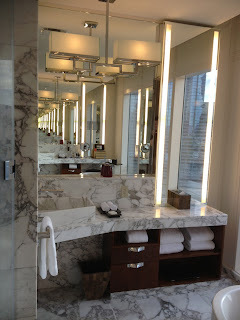 Pretty much any amenity gadget you can think of, this bathroom has it. Do yourself a favor, either you are here for a special occasion or just because, stay at Apex Suite for at least one night. It's really worth the money.